We offer summer camps and educational programs for kids and teachers here in the Chattanoogl area. Help us protect and restore our precious water. Our mission is to empower students to lead their communities to protect and restore their local environment through collaborative watershed projects. Our goal is education leading to positive action for our water. TenneSEA is the local division of CaribbeanSEA. Right here in Tennessee, we have projects ongoing with stormwater education and water monitoring. We have resources for educators, projects with K-12 schools, and collaborations with universities. You can also see the list of activities we have undertaken with the elementary schools where we are doing stormwater education programs in our NEW activity handbook! To fund these projects, we hold various fundraisers and we have a used outdoor gear store called the Gear Closet, now accepting donations of used camping and recreational gear! We also hold Kids 4 Clean Water Summer Camps. This year we had five camps scheduled in and around Chattanooga for kids ages 8 through 12. Click here to see some of our pictures and ask how you or your child could be involved in an exciting science camp this summer. Join the Caribbean/Tenne SEA Newsletter! 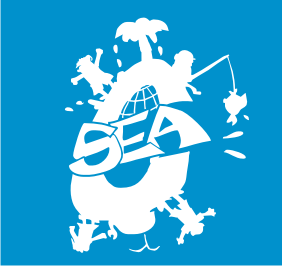 https://i0.wp.com/www.caribbean-sea.org/kids4cw/wp-content/uploads/2015/04/logo-tiny.jpg?fit=81%2C100&ssl=1 100 81 Randal Hale https://www.caribbean-sea.org/kids4cw/wp-content/uploads/2018/11/C-Sea-Cutter-Proof-1.png Randal Hale2016-12-07 09:10:042018-11-14 10:54:54Join the Caribbean/Tenne SEA Newsletter!